Mobile technology has penetrated its roots deep into our lives. But, more than common people, it is the busy marketplace that has been largely affected by the extensive use of mobile devices. Software and enterprise systems have broken the shackles of desktops and laptops, and they are now making their way into smartphones and tablets. As the arena of mobile technology is expanding and the usage of mobile devices is increasing, business professionals are inclining towards use of their own devices in offices. There has been a considerable shoot up in the data of use of mobile devices, and this has given rise to a new trend that is now popularly known as mobile enterprise. This is a generic term that describes a large enterprise that supports use of business apps and critical official functions through the wireless mobile devices. 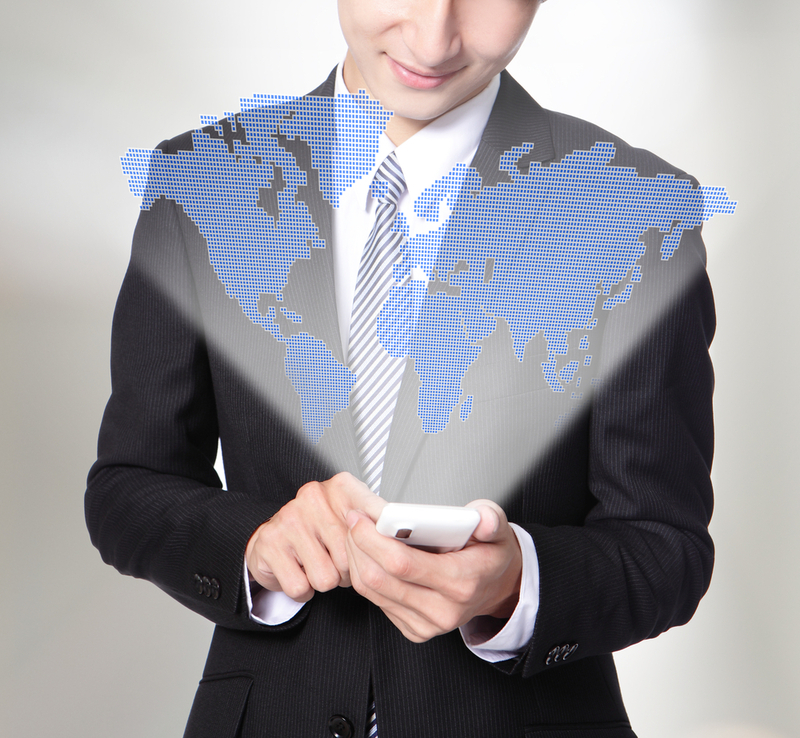 A mobile enterprise emphasizes on the use of mobile technology, which is facilitated by Internet-based transmissions. In a mobile enterprise, the employees use Internet infrastructure to access and carry out almost all their management tasks. Right from accessing emails to filling out invoices and receipts, there are mobile applications for almost anything and everything. In this heap of apps, there are some extremely useful corporate mobile apps too that are used by business professionals. The professionals are not the only ones who are using the apps; the companies are also busy in incorporating mobile enterprise solution in their workforce. One chief reason for this is that mobile technology has been accepted as the most innovative technology used and faced by enterprises today. The mobile enterprise solution is not just about finding the right applications for your enterprise, but it is about integrating all the important tasks and systems into the mobile devices. Therefore, implementation of mobile enterprise solution is a task that can only be entrusted to the pros. Now, this need of large organizations has become the new focus of IT services providers. Firms that worked hard to develop enterprise resource planning software and CRM software are now focusing on making these systems compatible with several mobile platforms. The IT service providers have sharpened their focus on providing mobility solutions to their clients. But, it is not simply the need of the clients that acts as the driving force for the IT firms, but it is also the various opportunities that mobile enterprise solution unleashes for both the IT solution providers and their clients. There is absolutely no doubt in it that mobile technologies have untethered businesses from the fixed locations and have made them mobile. While mobility has enabled enterprises to realize its immense potential, it has simultaneously unleashed new opportunities for the IT service providers. The presence of multiple mobile platforms has expanded the resources for mobile app development companies, but it has increased the complications for companies, which are looking forward for mobile implementation. This has enabled the pro IT firms to prove their proficiency by providing their clients with dynamic mobile-specific business models based on mobile enterprise solution and of course on the requirements of the clients. The use of smartphones in companies is not restricted to the mobile sections; the non-mobile sections of the workforce are equally active in using the mobile devices. Also, besides the employees, the clients also demand an active mobile presence of their concerned companies. The combination of all these factors necessitates and facilitates the creation of mobile-driven processes. The potential benefits of mobile technology can only be identified with the help of these processes. Once again, the IT firms have vital role to play. Creation of proper business processes that are centered on mobility concepts like mobile cloud computing is certainly going to provide an extra competitive edge to the firms. With the availability of better, sleeker phones in the market, the demands for better apps are also increasing. This may result into an app demand explosion for the mobile app development companies. Further, the security issues always stick with mobile app. But, if an IT service provider company can handle the technical specifications, then it gets to grow tremendously along with the growing demands for mobile applications. A report provided by Forrester Research Inc. shows that big companies like IBM and Accenture Inc. have already plunged into the market. The involvement of such big names implies the importance of mobile enterprise solution for organizations.